Chung ha, GFRIEND, MOMOLAND, (G)I-DEL, TMA attendance confirmed. The committee of the "U+5G The Fact Music Awards" released the fourth line up of artists featured at the awards ceremony on its official website on 27. According to the fourth line up released by the public, a total of four teams of girl group Chung ha, girlfriends, Momoland and (G)I-DEL will attend the U+5G The Fact Music Awards to further enrich the event. 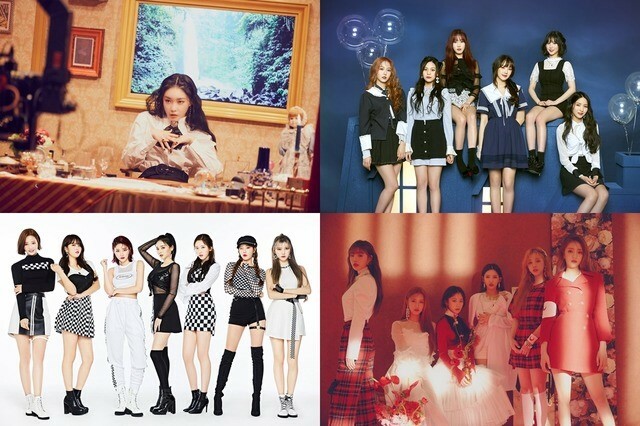 Each of the songs released has been a hit, starting with Chung ha, who has established herself as a leading female solo artist in Korea, GFRIEND, who is loved for her unique concept of "Innocent beauty," and MOMOLAND, who rose to the ranks of popular girl groups for their addictive songs and choreography. and With their charismatic stage and high completion music, all of the (G)I-DEL who have made their presence strong since their debut can be seen at the U+5G Compact Music Awards. Since BTS, K-pop fans continue to respond enthusiastically to every line up they announce, including TWICE, Red Velvet, Mamamoo, Icon, Monsta X, Stray Kids and The Boyz. And expectations for the "U+5G The Fact Music Awards" are heating up even more as Chung ha, GFRIEND, MOMOLAND and (G)I-DEL join the artist line up. The U+5G The Fact Music Awards is the only award ceremony in Korea that has expanded its online year end awards offline and will be held free of charge for three weeks from April 1 to 19. Meanwhile, the "U+5G The Fact Music Awards," which will be joined by U+IdolLive, Amuse and GEO GLOBAL SYSTEM, held their spectacular run at Namdong Gymnasium in Incheon on April 24.